Parkvets are a group of 10 small animal practices, offering 24 hour veterinary care for South-East London and North-West Kent. Animana: Diane, could you let us know about your experience as a user of the Animana Practice Management Software? 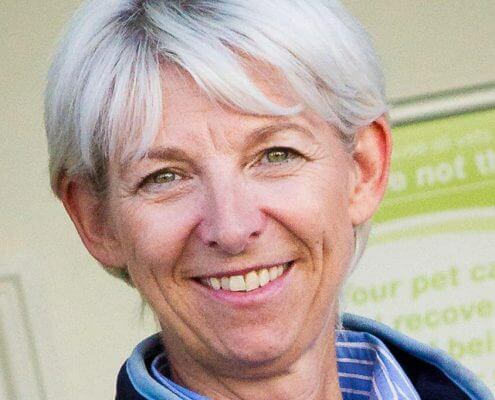 Diane Heron: Parkvets is a large, multi-site private practice. We have a complex rota structure, are open 24 hours a day and we needed a Veterinary Practice Management System which allowed us to communicate really effectively with our clients. Whilst we were not dissatisfied with our previous system in terms of basic functionality, we had started to feel it was limiting our ability to move forward. Animana has addressed all these points of frustration and allowed us to automate all manner of processes which were previously more labour intensive. It also provides opportunity for improved clinical records, more targeted communication with clients and readily accessible reporting. It is early days but we are very pleased with our choice at this stage. Animana: How has your daily practice improved from the use of IDEXX Animana? Diane Heron: We are saving a lot of time on repeated, manual tasks which are now automated. And we are able to communicate with clients directly from the system and record all interactions, which is a major improvement from other systems I’ve used previously. Animana: What do you consider to be the most valuable aspect of your experience with Animana? Diane Heron: The support we have received during and after implementation, which has been excellent.